Not long after analog TV has met its demise in the country, a new era of broadcasting is taking shape in the Oceanic nation of New Zealand, as leading satellite broadcaster Sky revealed their popular Sky Go streaming service has now made its expansion to a new market. Sky Go’s streaming offering has seen success in a number of areas the satellite operators work in (primarily the UK and German markets), and it appears now as though there is a hope to copy the English-language results in the Southern Hemisphere with their new planned launch. An announcement this week was made to reveal the free downloadable ‘Sky Go App for iOS’ (which will according to the company be followed in the near future by an Android edition). Noted as replacing PC/Mac desktop service iSky in the process, the newly-branded Sky Go will offer up to 10 ‘live streaming channels’ (depending on TV subscriptions, and listed as coming from the Sky Sport range (1-4), Sky Movies, UKTV, BBC World News, Cartoon Network, E!, and National Geographic) for tablet computers and smartphones, as well as access to Sky’s own EPG and remote record scheduling via MySky. In addition, the service will offer an ability to content share through connected social media outlets, and contain a parental controls setting as is an often-expected standard. Sky Go are claiming to operate with ‘large fonts and minimal clutter’ on the iPad for a ‘clean interface’ that allows easy transitions amongst the tablet-specific and regular TV-style features. With over 70% of Sky New Zealand customers said to have ‘smartphones and/or tablets’ based upon the telecommuniation company’s research, the chance to offer content delivered by internet will be an innovation that Sky will hope is mutually beneficial, but will it be initially recieved well enough to fulfill its potential in the market? HD content from the BBC has been given a boost as the corporation launch five new HDTV channels that can be watched for free (so long as you’re in the UK). The new channels getting a visual boost are BBC Three and Four HD, BBC News HD, CBeebies HD and CBBC HD. The new free to air channels are launching today, on December 10 and can be watched on digital receivers that include Freeview and Freesat HD, Sky HD, Virgin Media, and the YouView box. He continued, “This year, people will be able to watch even more of our programmes in brilliant quality,” viewers can also get to catch-up in HD as the channels will be available via the BBC iPlayer service. 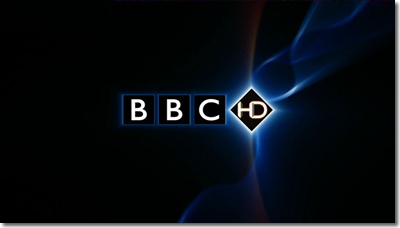 The first high definition channel from the BBC which showed a collection of BBC HD content and was given that name, was launched in 2006. The new channels will be in the standard 1080p HD and not Ultra 4k, as the BBC are not using license payers money to fund the new standard and will probably follow behind Sky TV in adopting the format. Play, considered one of the best-known video-on-demand services in Russia, is set to improve their service by launching ‘full HD streaming’, subtitles, and ‘multiple audio’ options across the next fortnight, with future plans to develop the ability to display 4K content, moves which (the latter in particular) would see them stand out as one of the most technologically-advanced streaming platforms in the world. Play’s CEO Leonid Belyaev spoke of the upcoming changes at the ‘Digital TV World Summit’ in London (England) yesterday (4 December), with his company claiming to be planning a ‘cinema-grade’ VoD experience, helped by offering selected titles in early theatrical windows as soon as 2-4 weeks past its theatrical release date. 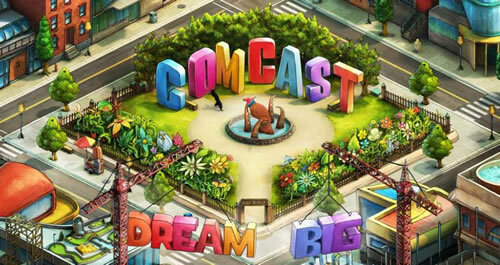 The improvements proposed would add to the current ability to buy or rent content for streaming or download across ‘all connected devices’ in SD, HD and 3D formats, according to Belyaev, who notes that their users currently average 3 movies/month consumed each. He stated: “We want to go beyond that magical number and play a bigger part in the video lives of people. Having grown from their origins as OTT-only service YotaPlay, Play’s development has seen them grow to over 60 licencing contracts covering over 1,500 titles (150 of which are 3D-applicable), with 200,000 subscribers and strong coverage on smart TV sets (around 90%) of overall usage, and it now appears as though further steps are about to be taken, but will becoming one of the first to be reflected in their future numbers? Confirming that mobile TV viewing is taking over, mobile viewers of the BBC’s iPlayer service now now number almost as many as the traditional desktop PC and laptop according to new figures. For many people, mobile devices are the preferred viewing platform of choice. BBC statistics are confirming this, as they reveal that mobile traffic was responsible for 37% of content requests to the iPlayer catch-up TV service during October. There were 261 million iPlayer requests for the month, which was an increase from last year of 23%. Mobile devices such as tablets and phone usage was close to the current biggest platform, the personal computer which had 39% of requests. Total requests for October were 261 million, comprising of both TV shows and radio programs. Of which 199 million were TV requests.Tablets showed the biggest gain with usage doubling in a year from 10% last year to 20% for this. For the same period PC viewing dropped from 48% last year to for 39% this year. Users are still mainly from the younger demographic and both sexes are equally using the service. 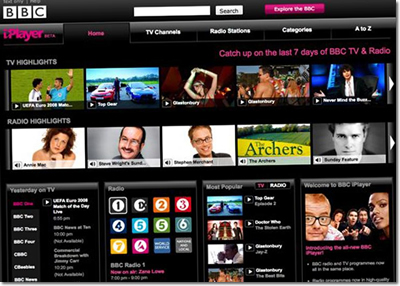 In a statement the BBC said, “The profile of BBC iPlayer users has evened out over time in terms of male/female ratio, but remains strongly under-55 in terms of age, which is younger than the typical TV viewer or radio listener’s profile – although more in line with home broadband users,” said the BBC. 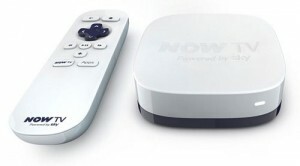 Connected platforms such as smart TVs, Blu-Ray players and set-top boxes like Roku, Freeview, TiVo and YouView flat lined at just 2%. The news confirms a report by Business Insider last month that viewers are switching to mobile devices to watch TV. American cable TV operators Comcast, moving a little away from recent rumours surrounding a potential company acquisition, have announced their plans to update their advertising method for online streaming of content… and keep it that way. The new ‘advertising technology methods’ are claimed to be able to insert ‘up-to-date commercials’ onto past episodes of TV programmes featured on an on-demand platform, one which Comcast believe can help them earn additional money through re-selling featured commercial rights to content after set periods of time. With network/provider-based TV content that is new enough to avoid the subscription streaming window being a key attraction to any network programming source service, Comcast are one of many names who could take advantage of such a system if it becomes commonplace, though their own research (undertaken with ratings specialists Nielsen) appears to be putting them in the front seat to market towards new commercial partners, extending on the previous limit of advertisers paying for adverts for only a three day window including live premiere. Comcast’s plan sees them aim to incorporate the same commercials seen on ‘fresh’ content into a TV show’s own older episodes on their on-demand platform, with Nielsen’s statistics on past viewing serving as the incentive for companies to invest. The current testing is believed to be taking place on their owned network NBC, along with Disney property ABC, as Comcast’s ‘senior vice-president of video services’ Matt Strauss stated. Sky’s ever-developing ‘Now TV’ service has announced the latest addition to their selection of internet streaming options, as free-to-air broadcaster Channel 4‘s ad-supported catch-up service ‘4oD‘ joins the set-top box. The addition means that shows including Hollyoaks, Man Down, Misfits, and Peep Show (alongside imported shows such as Agents of S.H.I.E.L.D. and classic boxsets including Father Ted) are able to be viewed through the budget connected set, while the platform as a whole (which can be accessed as software through browser, games consoles, ‘third party providers’, and a selection of iOS/Android devices) sees 4oD join a list that includes the BBC iPlayer, Demand 5, and subscription services for Sky’s own-brand ‘Entertainment’, ‘Movies’, and ‘Sports’ packages. The inclusion of 4oD (claimed to be worth at least 3,000 hours of content for the service) will be a long-awaited one in many people’s views, but while Sky acquire a third quarter of the biggest UK terrestrial broadcasters to their non-satellite streaming brand for the first time, will the offering be one that has any drastic impact on their user numbers?